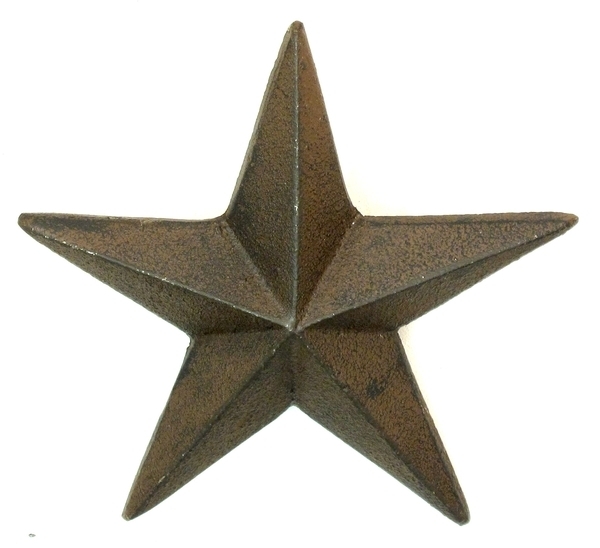 Cast Iron Nail Star - Large These "nail stars" have a built in nail on the back that can easily be attached to any wall. It can be used in a variety of home or business western decor. Measures 5" wide.